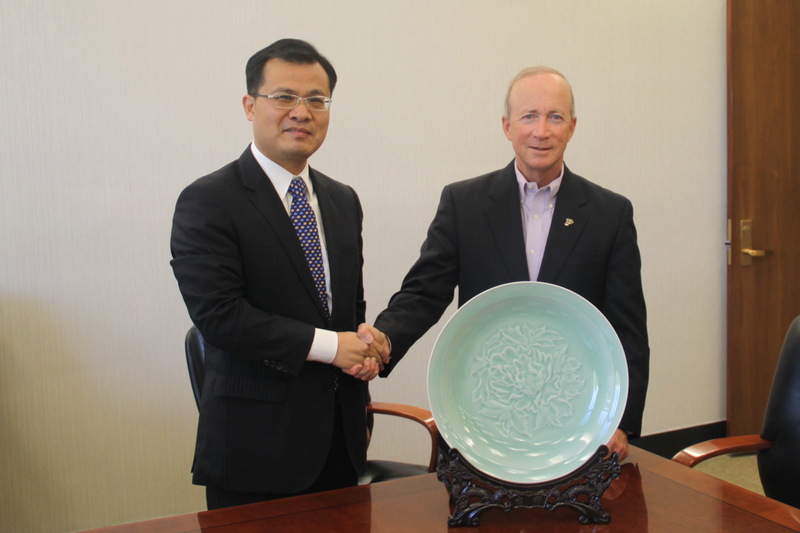 On October 24，Chinese Consul General to Chicago Zhao Weiping paid a courtesy call on Purdue University President Mitch Daniels in West Lafayette, Indiana. Both sides exchanged views on educational cooperation between China and Purdue University. Consul General also expressed his appreciation to Mr. Daniels for his efforts in strengthening friendly relations with China while he was as Governor of Indiana. 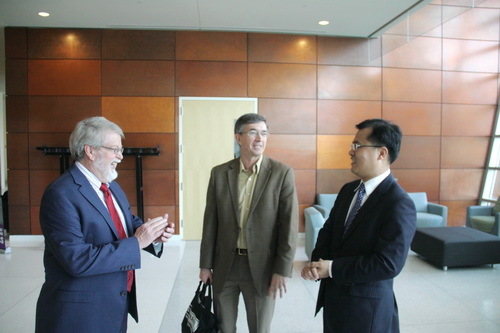 Following the meeting, Consul General Zhao visited Discovery Park and Research Park of Purdue University.